Europe's biggest onlineshop for aftermarket motorcycle decals and sticker! 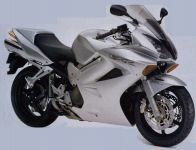 You want to change your motorcycle decal or keep the original look after a repainting? Then you're right with Racingaufkleber24.de! We have the right decal sets for many bikes. Each decal set is produced "just in time" immediately after your ordering. We work only with brand films and a perfect machinery to guarantee the best service and high customer satisfaction. We manufacture the stickers self to allow our low prices. Our aftermarket stickers are even by professionals hard to distinguish from the originals, because we use the same or higher quality films than the manufacturer. You will be amazed by the quality! If motorcycle decalsets or sticker for Yamaha, Honda, Suzuki and Kawasaki motorcycles: Our online shop offers you everything ! 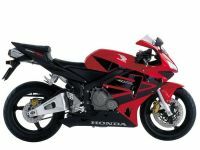 Motorcycle stickers and decorative sets for vehicles of large manufacturers list provides Racingaufkleber24.de at particularly low prices. As distributor of decor sets and stickers, Racingaufkleber24.de has focused on making passionate bikers for motorcycles a wide range of decor sets accessible. Also looking for Car Wrapping foils or splicing accessories you'll find it here. Your satisfaction is especially for us, you may benefit from our online store of our quick search, the extensive navigation and the assorted choices. All these options make it easier to let your bike shine in a new light. 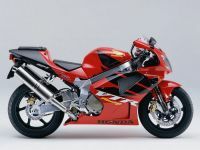 Whether you are looking for a sports bike like Yamaha YZFR1, R6 or R125, Honda CBR 600RR, 900RR, 919RR, 929RR, 954RR, RVT 1000, 1100XX or the 1000RR Fireblade, Kawasaki Ninja ZX6R, ZX7R, ZX9R, ZX10R and ZX12R, Suzuki GSX-R 600, 750, 1000 or 1300 Hayabusa own, we have the right sticker for you! Incidentally, we also distribute decor sets for other known models like Yamaha FZ6 Fazer, FZR 600, Thunderace and Thundercat, Honda CBR F2, F3, F4, VFR, Hornet, Firestorm, CBR 125 / 250, Suzuki GSXR 1100, V-Strom, SV 650S, Bandit, TL 1000S and Inazuma or Kawasaki Ninja 250R, GPZ 500S, Z 750S and ZZR 1400. Benefit at the individual purchase of appropriate motorcycle trim our first class and fast service: Because you can change and personalize the colors of your decalset. We provide the decalset forth according to your wishes and ideas, so you will get a absolutely unique stickerset. If you have questions about the products or the changes that are possible with us, feel free to contact us!